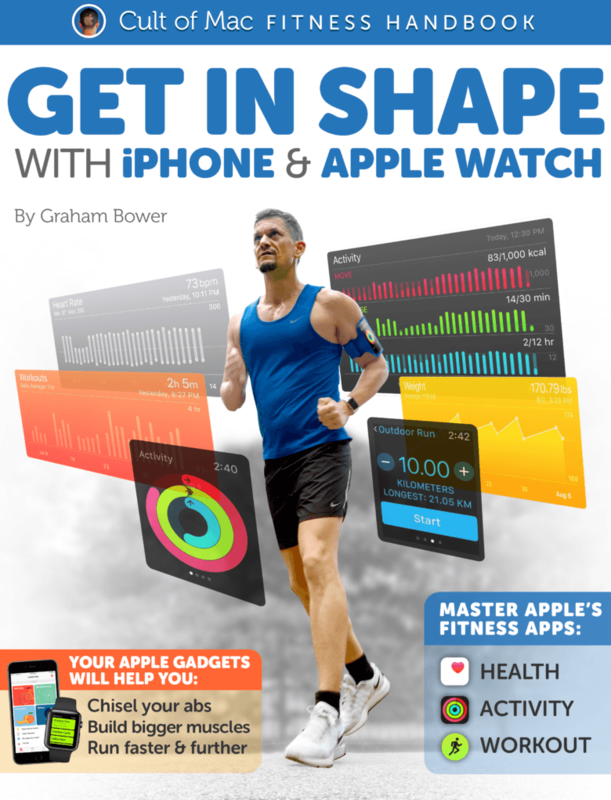 This ebook is a practical how-to guide, covering step by step everything you need to know about getting fit with Apple’s devices. It covers things like setting effective goals in the Activity app, customizing the Health app, and maximizing your use of the Workout app. You’ll also get expert tips about which third-party Apple Watch fitness apps and accessories you will need. Whether you’re looking for advice on how to jump-start your own fitness journey, or you are already a serious fitness fanatic and want to find out how your Apple gadgets can raise your game, this ebook is for you. The Cult of Mac Fitness Handbook: Get in Shape With iPhone and Apple Watch contains 25 chapters packed full of advice, tips and time-saving how-tos. The ebook costs $4.99 on the iBooks Store, but we’re giving Cult of Mac readers an exclusive opportunity to download it for free. Just fill in your details below to get your free copy.